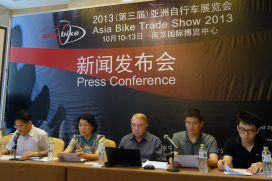 This was stated Knut Jaeger, chairman of Beijing German Messe on the Asia Bike press conference last week. 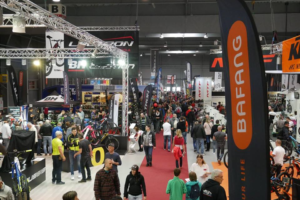 Some 394 exhibitors will present the latest on luxury bikes, clothing and accessories. 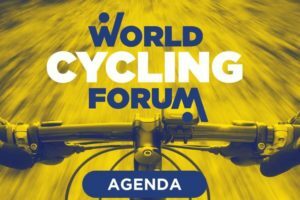 Indeed the similarity with Eurobike is striking: Asia Bike includes s Demo Day, Fashion Show, open-air Test Tracks for mountain and road bikes on the fairground, Forum and Workshops. 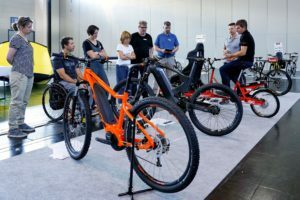 “Trade visitors, media, dealers and cycling fans get the chance to test and ride the 2014 highlights during the Demo Day on October 9th or in the Testing Area on the fairground. 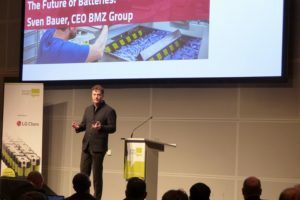 With so many future trend products, Asia Bike grows into a genuine trade show in China”, said Knut Jaeger. Asia Bike is developing quickly. It measures 26,000 square meter indoor and 10,000 square meter outdoor. The number of exhibitors is growing rapidly with 65.5% to 394 this year. 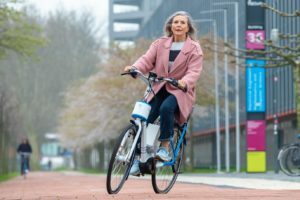 Asia Bike is open for trade visitors from October 10 to 13 and the show organization expects up to 12,000 industry insiders to attend. On October 12 and 13 the show is also open for the public.